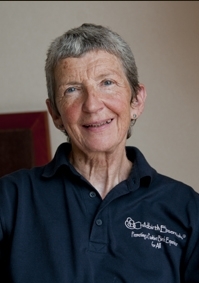 Linda Kimber qualified as a midwife in 1974 and has many years of experience as a practising midwife. 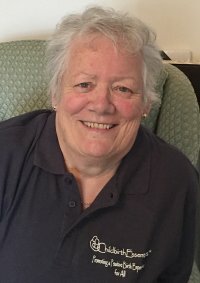 At the end of the 1980’s Linda completed massage, aromatherapy and reflexology courses and started using massage within her practice working as a community midwife. During the mid 90's she started developing the use of massage to support women, babies and birth partners during the antenatal and intrapartum periods. This continued to evolve, following valuable feedback from couples and her own observations. More recently she was involved in researching the value of massage as a pain relieving strategy using specific techniques - The LK Massage Programme ®. In 2003, she completed a feasibility study in partnership with Mary McNabb, Anne Haines and Professor Christine McCourt, with support from the National Perinatal Epidemiology Unit. The study used the LK Massage Programme and explored the value of massage in reducing the need for pharmacological analgesia in labour; the environment was an essential facet of this study. Scientific advisor and academic midwife. Mary’s professional work has been focused on developing a biosocial approach to reproduction, to enable midwives to teach parents how to realise the health enhancing effects of the fertile cycle. Her interest in the potential for reproduction to enhance long-term health began with a randomised controlled trial on the effects of regular aerobic exercise on labour outcomes. This study stimulated an enduring curiosity in neuro-hormonal and metabolic adaptations to different phases of the fertile cycle. This interest was developed by an MSc in the Science of Physiology, at London University in 1992 and by writing chapters on reproductive biology for Mayes' Midwifery.